Nice to See, Hard to Paint. 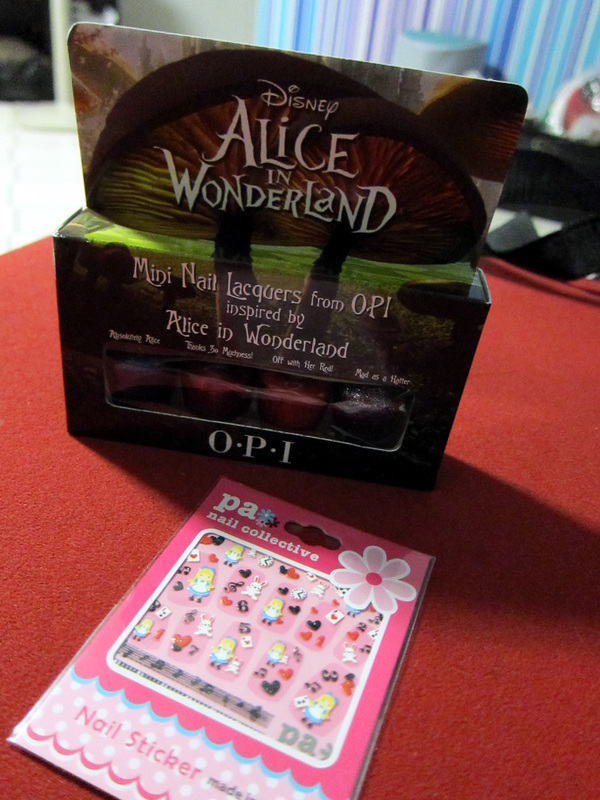 I was attracted to OPI Alice In Wonderland collection – Mad as a Hatter after seeing it in Sephora and I thought I’ll join a spree and purchase at a cheaper price but the color was discontinued shortly!! I searched everything and with the help of Dodo, I finally found the miniature collection in all 4 colors!